Nick Bryant is the owner of NickPrint, Inc. Nick has been in the printing industry for 20+ years, so his decades of experience can help you get the most benefit from your marketing dollars. NickPrint, Inc. is a full service printing & direct mail marketing company. 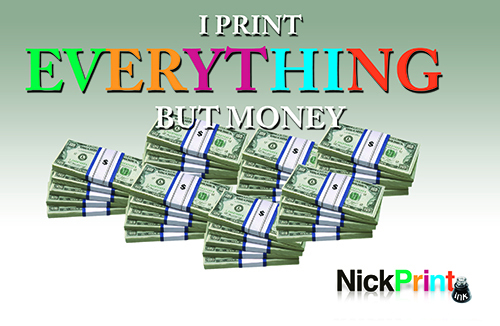 We print everything but money! Get the Monthly Specials Newsletter! Are you ready to get started on your printing project?